The discovery of fossils that looked like plant remains dates back to the seventeenth century and earlier. Collectors such as John Woodward, an English physician, amassed a diversity of crystals, minerals and organic remains, which were all then regarded as fossils since they had been dug from the ground (the word 'fossil' is derived from the Latin fossa, meaning a digging or ditch). Woodward left his collection or 'cabinet' as it was then known to the University of Cambridge, along with an endowment for a 'chair' or professorship. Both still survive in the university, with Woodward's cabinet forming the basis of one of the oldest continuing university museum fossil collections in the world. John Woodward, 1665-1728, physician, professor at Gresham College, London (from 1692) and author of an 'Essay toward a Natural History of the Earth' (1695); he bequeathed his collection of books, minerals and fossils to the University of Cambridge and endowed a chair in mineralogy. 'rootlike' structures of some characteristic Coal Measure plants called clubmosses (technically known as lycopsids). Oxford also had its historically important collection of 'fossils' amassed by Edward Lhwyd, who, apart from being a well-known scholar, was an indefatigable explorer of the highways and byways of rural Britain. He was curious about almost everything to do with the past, whether it was historical buildings, ruins or fossil petrifications, as well as the living organisms of the natural world. Lhwyd was not convinced by either the organic or inorganic theories for the origin of fossils and proposed a 'middle way'. 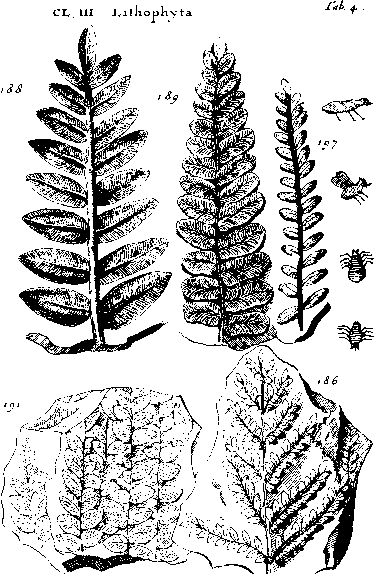 In a book published in 1699, he illustrated a selection of fossil ferns and insects from Coal Measure strata, but was particularly intrigued by the appearance and origin of the ferns. The puzzle was that they looked so plant like but were not preserved with any plant-like material; they seemed to be just the impressions of fronds on the rock surface. Furthermore, they were not quite the same as any living plant then known. Lhwyd concluded that the fossils must have grown within rock strata from 'seed' (pollen) that had percolated into the rocks from living plants that they most resembled. 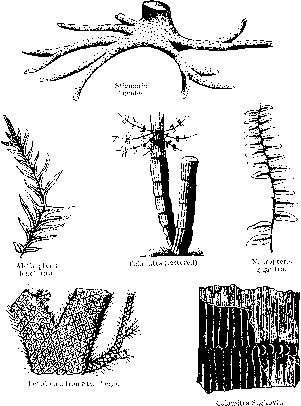 The Swiss naturalist Johann Scheuchzer still had the same problem with fossil plants when he published his Herbarium of the Deluge in 1709, as he illustrated some inorganic mineral dendrites alongside what can be seen today as genuine fossil plants. And as Scheuchzer's title suggests, he interpreted the preservation of plant-like fossils in rock strata far inland as the result of the Noachian Deluge. Some of the earliest illustrations of fossil plants from coal bearing strata are those reproduced in Edward Lhwyd's 1699 Lithophylacii Britannici Ichnographia etc. separate out the various parts of plants (stems, leaves, pollen and so on) and bury them at different times in different places. Rarely, in fossil forest or swamp-like situations such as the Coal Measure deposits, tree-sized trunks with their roots may be preserved still standing upright, but the rest of the canopy cannot be preserved intact. Branches, leaf fronds and reproductive structures might be found in the surrounding sediment, but there is no guarantee which root and trunk they originally belonged to. Leaf fronds may be blown from plants and carried some distance by wind and water along with other light plant components, especially pollen. Flowers are particularly delicate structures and very difficult to fossilise, although seeds, nuts and fruit can be much tougher. They generally become separated from the parent plant and buried in fine sediment such as lake or river muds, along with pollen and other buoyant plant debris. But the sedimentation processes tend to mix up bits and pieces from many different plants in all this flotsam and jetsam. As early investigators found, it can be very difficult to reassemble the parent plant from the fossil fragments. Just to confuse matters, each different fossilised plant element was given its own name. So a leaf frond might be placed in one species, its stem in another and so on. Adolphe-Théodore Brongniart, 1801-76, son of Cuvier's collaborator Alexandre, palaeobotanist and professor of botany at the National Museum of Natural History in Paris and author of Histoire des Végétaux Fossile (1828). were, however, separated by abrupt breaks. The first phase was dominated by the primitive land plants of the Coal Measures; the second contained the first conifers; cycads appeared in the third (Mesozoic) phase and along with the conifers dominated the flora; finally, the flowering plants took over (Cainozoic). Altogether, to Brongniart, this represented a progressive history of increasing complexity and diversity similar to that which seemed to be emerging from the fossil record of animal life. These fossils of Coal Measure plants illustrate the difficulty of relating various parts of individual plants separated by the fossilization process. 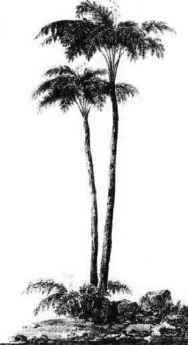 In the 1830s Adolphe Brongniart reconstructed Carboniferous plants using modern examples such as this tropical tree-fern and drew appropriate conclusions about the climates of the time, i.e. that northern Europe was significantly hotter. However, he was not in a position to realize the very different geography of the day and the effects of plate tectonic movements. Brongniart also discerned another important feature of the plant fossil record. The fossil plants of the first phase, the luxuriant fossil tree ferns, clubmosses and horsetails, although extinct, showed characters similar to plants that grow only in hot, humid tropical rainforests today. So he concluded that the global climate of the Earth must have been significantly warmer than that of today, since tropical warmth extended as far north as regions of northwestern Europe such as Scotland from where such fossil plants had been found. We now know that there are other explanations for this phenomenon (see below), but at the time it was an important breakthrough that resurrected Buffon's theory of a cooling Earth (see p. 401). Even more ahead of its time was Brongniart's proposal that the abundance of plants during Coal Measure times was a measure of high levels of carbon dioxide in the atmosphere. Moreover, the effect of abundant plant life was to lock up carbon from the atmosphere in coal deposits and consequently C02 levels and global temperatures rose sufficiently to allow air-breathing reptiles to thrive. We now know that he was basically correct. Atmospheric C02 levels were very high, perhaps some 20 times higher than present in Devonian times (around 600 ppm). However, as terrestrial vegetation flourished through the Carboniferous Period, it 'drew down' C02 from the atmosphere and locked it up in the plants. The accumulated debris from the plants was so extensive and voluminous that it built up thick enough layers in places, which in turn were buried and compressed over time to form coal deposits. Indeed, there was so much vegetation globally that atmospheric C02 was reduced close to that of today at around 354 ppm, drastically cooling global climates from a high point in Devonian times. This ice-house climate state precipitated an ice age from the end of Carboniferous times into the Permian Period. In the equatorial regions climates became drier and the rainforest cover was drastically reduced, although coal deposits were still forming in China in early Permian times. Today's global distribution of Carboniferous coal-bearing rocks can be explained by plate tectonics. When the coal-rich parts of the continents are reassembled, as they were in Carboniferous times, they all fall within an equatorial belt from Arkansas and Kansas in central North America, through the Maritime Provinces of Canada, northwestern Europe (British Isles, northern Germany, Netherlands, Belgium, northern France and Poland) and extend across to the Ukraine and China. The Belgian geologist d'Omalius d'Halloy responded to Conybeare and Phillips's attempted 'capture' and anglicization of his 'Terrain Bituminifere' by claiming that there were in fact two separate and distinct 'terrains'. The younger 'Terrain Houiller' was comprised of the coal-bearing strata and below it lay the older 'Terrain Anthraxifere', which he claimed should include the British Mountain Limestone and the underlying Old Red Sandstone. He thought that they could be distinguished one from another by their fossils. D'Halloy's distinction of the two successive groups of strata or 'terrains' as he called them was accepted in part by most European geologists, with a recognition of a separation between upper and lower Carboniferous but with the Old Red Sandstone excluded from the latter. 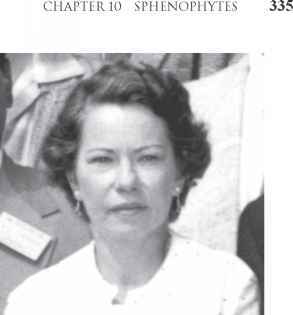 However, as we shall see, it was North American geologists who were more insistent about the importance of the division and who recognised it at the system level. The great diversity of ancient seabed life preserved within the Lower Carboniferous Mountain Limestones suggested that the deposits had been formed in warm, shallow tropical seas, which again seemed to indicate that there had been dramatic changes in global climates in the remote geological past. Furthermore, there must also have been drastic changes in sea level, since the plant-rich Coal Measures and unfossiliferous Millstone Grit strata had originally been laid down in continental environments of deposition, while the older coral- and shell-rich Mountain Limestones had formed in shallow seas. But in the nineteenth century nobody had any idea why this had happened. The distinctiveness of the abundant shell fossils of the Carboniferous (Mountain) Limestones was first studied in detail by William Smith's nephew John Phillips, who described the fossil shells of the Carboniferous Limestones of Yorkshire in 1836. There are numerous kinds of reef-related organisms such as corals, moss-animals (bryozoans), sponges, calcareous algae, sea-lilies (crinoids), clams, snails, lamp-shells (brachiopods) and occasional cephalopods and trilobites. The palaeontology of the Mountain Limestones was greatly developed in succeeding years by research in Belgium by Laurent G. de Koninck and in Ireland by Frederick M'Coy. Since then astonishing levels of detailed understanding of both the sediments and their fossils have been achieved. The sediments are much more varied than the name Mountain Limestone suggests. In places over 1.5 km of strata are preserved, ranging from very shallow-water carbonates to deep-water shales and turbiditic deposits. The underlying geological structure of the basins within which the sediments accumulated is complex, with numerous faults and fault blocks actively moving during deposition. Despite over 100 years of continuing research deposits of this age still throw up remarkable finds that give new insights into the life of the time. In 1981, a specimen of a little 'eel-shaped' fossil turned up among a collection of fossils in the Edinburgh office of the Geological Survey of Great Britain. It was spotted by palaeontologists Euan Clarkson (of Edinburgh University) and Derek Briggs (then at Bristol University, now Yale), an expert on fossilisation processes, while they were scanning an unusual collection of fossil shrimps that came from the Granton 'Shrimp Bed', near Edinburgh, which is of Mountain Limestone (Lower Carboniferous) age. Normally shrimps are exceedingly rare as fossils because their carapaces (shells) have little mineral content and do not fossilise. But within this rare deposit, there is some preservation of soft tissues. Sir Frederick M'Coy, 1823-99, Irish geologist who studied medicine in Dublin and Cambridge and was employed by Sir Richard Griffith on the compilation of his 'Geological Map of Ireland'. He became professor of geology at Queen's College, Belfast (1850-4) and then Melbourne, Australia (1854-99), knighted in 1891. The palaeontologists realised that the eel-shaped fossil was not a shrimp but instead looked as if it might be something that many people had been trying to find for over 120 years - a conodont animal. Fossil conodonts were discovered in 1856 by Christian Heinrich Pander, a German biologist who worked mostly in Russia, pioneering embryological studies and evolutionary ideas. He was the first to describe and illustrate conodonts and regarded them as minute, millimetre-sized fish teeth. As the name given to them by Pander implies, conodonts are minute, conical, toothlike structures found, often quite commonly, throughout a wide range of time (Cambrian to end Triassic) and different seabed deposits. But it took nearly another 130 years before anyone had much of an idea what the conodont animal actually looked like and Pander's diagnosis was finally acknowledged for its general insight. Meanwhile, conodonts were shuffled around from one phylum to another within the Kingdom Animalia. As recently as 1981, conodont expert Klaus Muller could still claim that 'the origin of conodonts is considered by many palaeontologists to be one of the most fundamental unanswered questions in systematic palaeontology'. Christian Heinrich Pander, 1794-1865, medically trained German biologist who worked mostly in Russia, especially on embryology, and made important studies of fossils, including pioneering work on conodonts. What is nature of fossil?